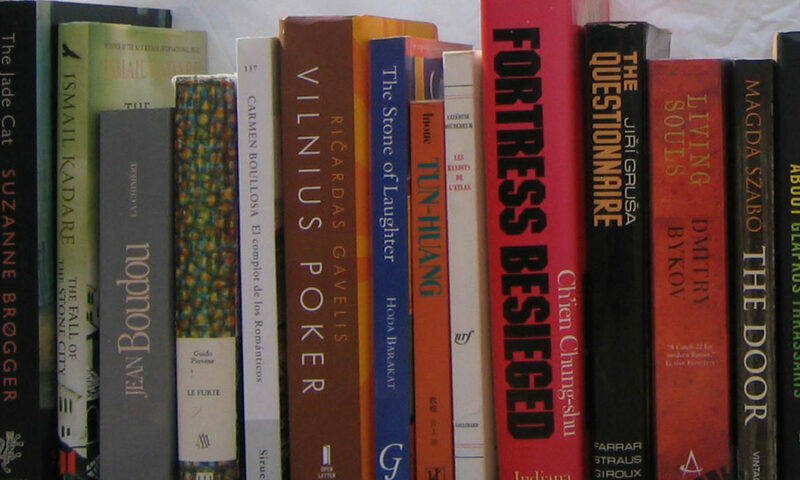 The latest addition to my website is Guzel Yakhina‘s Зулейха открывает глаза (Zuleikha). Zuleikha is a Tatar woman, married to an abusive husband, in the late 1920s. Her husband is determined that the Soviets will not have any of his food and he hides. When he is caught and objects, he is shot on the spot. Zuleikha and many other villagers are then sent off to Siberia as former kulaks. The journey is hard, not least because there is a huge backlog of kulaks and other undesirables being sent off to Siberia and they are delayed on their train journey. It is made harder when Zuleikha realises she is pregnant – her husband raped her the night before his death. She has already lost four daughters, all of whom died young, and she is determined to protect her first son. We follow the story of the prisoners, the commandant and, in particular, Zuleikha, from around 1930 to the end of World War II. 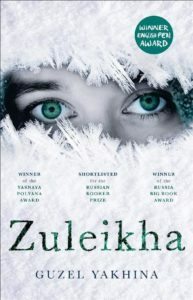 As the Russian title (Zuleikha Opens Her Eyes) tells us, a good part (but certainly not the only part) is about how Zuleikha develops from being a submissive Muslim woman and abused wife to being someone more independent. Yakhina tells an excellent tale of life in a Siberian camp and of a woman who finds herself there.